So, what counts as The Beach Boys covering The Beach Boys? In the eyes of this database, either radically different remakes or team ups with other artists. The Beach Boys are Brian Wilson, Carl Wilson, Dennis Wilson, Mike Love, Al Jardine, David Marks, Bruce Johnston, Blondie Chaplin and Ricky Fataar. (covered as "Medley Part Two: Ballads") The Beach Boys Medley single 1981 Youtube A (badly edited) medley consisting of "Surfer Girl"/"Girls On The Beach"/"Ballad Of Ole' Betsy"/"We'll Run Away"/"Caroline, No"/"The Surfer Moon"/"In My Room". Released as a single with Part One (Uptempo), and also a significantly shorter single version was released. "California Girls" Beach Boys' Party! Uncovered And Unplugged 2015 Youtube, Spotify An attempt to cover the song in the Party! acoustic style. Unreleased until the 2015 Party! sessions album. "Do It Again" Do It Again single 2011 Youtube Re-recorded to preempt the 50th anniversary reunion. Features Brian, Mike, Al, Bruce and David. Brian takes the lead on the bridge, while Mike takes the rest of his original lead. Jeff Foskett does falsetto vocals. (covered as "The Beach Boys Medley") The Beach Boys Medley single Youtube A (badly edited) medley of "Good Vibrations"/"Help Me, Rhonda"/"I Get Around"/"Shut Down"/"Surfin' Safari"/"Barbara Ann"/"Surfin' U.S.A."/"Fun, Fun, Fun". This is in fact an edit of the much longer "Up Tempo" medley, but with half the songs. The shorter edit is in the listen links, while a slightly longer French version can be listened to here here, if for some reason you want an extra minute. "Here Comes The Night" L.A. (Light Album) 1979 Youtube, Spotify Eleven-minute long disco remake of the song, produced by Bruce Johnston and Curt Boettcher (California Music, Sagittarius). There are five different edits, the shortest being an almost bearable 3:18. However, I am not merciful and have linked the full 10:51 version here. It reached #48 in the US Disco chart. (covered as "Medley: I Get Around / Little Deuce Coupe") Beach Boys' Party! 1965 Youtube, Spotify Acoustic medley of "I Get Around"/"Little Deuce Coupe", with some "humorous" lyrical adjustments. A version without the party overdubs can be found on Beach Boy's Party! Uncovered And Unplugged (Spotify). "Surfin'" Summer In Paradise 1992 A 90s remake of their first single. To this day people are still trying to work out why it was necessary. Also see The Beach Boys and Junior Brown. Also see: The Beach Boys, John Stamos. "Forever" Summer In Paradise 1992 Youtube Also released as a single. Stamos had previously sung the show multiple times in sitcom Full House. Also see The Beach Boys, Lorrie Morgan. "Don't Worry Baby" Stars And Stripes, Vol. 1 1996 Youtube Lorrie Morgan takes lead vocals on this country cover. Reached 73 in the US Country chart. Also see The Beach Boys, James House. "Little Deuce Coupe" Stars And Stripes Vol. 1 1996 Youtube Country cover with James House on lead vocals. Went to 69 in the US country charts and 41 on the Canadian country charts. Also see The Beach Boys, Toby Keith. "Be True To Your School" Stars And Stripes Vol. 1 1996 Youtube Country cover with Toby Keith on vocals. Also see The Beach Boys, T. Graham Brown. "Help Me, Rhonda" Stars And Stripes Vol. 1 1996 Youtube Country cover with Ricky Van Shelton on lead vocals. Also see The Beach Boys, Willie Nelson. "The Warmth Of The Sun" Stars And Stripes Vol. 1 1996 Youtube Country cover with Willie Nelson on lead vocals. See also The Everly Brothers and The Beach Boys. 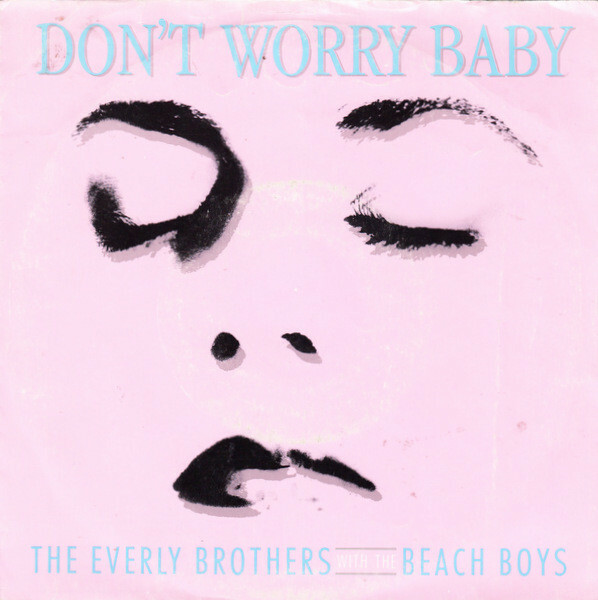 "Don't Worry Baby" Some Hearts... 1988 Youtube The Beach Boys contributed backing vocals. It was released as a single (in some cases with a rather odd piece of cover art), and performed "live" (quotation marks fully intended) in a medley with "Getcha Back" and the Everly's "Wake Up Little Susie" for a TV special. Also see The Beach Boys and The Royal Philharmonic Orchestra. "California Girls" The Beach Boys With The Royal Philharmonic Orchestra 2018 Youtube, Spotify The original Beach Boys recording and vocals with orchestral overdubs. "Darlin'" The Beach Boys With The Royal Philharmonic Orchestra 2018 Youtube, Spotify The original Beach Boys recording and vocals with orchestral overdubs. (covered as "Disney Girls") The Beach Boys With The Royal Philharmonic Orchestra 2018 Youtube, Spotify The original Beach Boys recording and vocals with orchestral overdubs. "Don't Worry Baby" The Beach Boys With The Royal Philharmonic Orchestra 2018 Youtube, Spotify The original Beach Boys recording and vocals with orchestral overdubs. "Fun, Fun, Fun" The Beach Boys With The Royal Philharmonic Orchestra 2018 Youtube, Spotify The original Beach Boys recording and vocals with orchestral overdubs. "God Only Knows" The Beach Boys With The Royal Philharmonic Orchestra 2018 Youtube, Spotify The original Beach Boys recording and vocals with orchestral overdubs. "Good Vibrations" The Beach Boys With The Royal Philharmonic Orchestra 2018 Youtube, Spotify The original Beach Boys recording and vocals with orchestral overdubs. "Help Me, Rhonda" The Beach Boys With The Royal Philharmonic Orchestra 2018 Youtube, Spotify The original Beach Boys recording and vocals with orchestral overdubs. "Here Today" The Beach Boys With The Royal Philharmonic Orchestra 2018 Youtube, Spotify The original Beach Boys recording and vocals with orchestral overdubs. "Heroes And Villains" The Beach Boys With The Royal Philharmonic Orchestra 2018 Youtube, Spotify The original Beach Boys recording and vocals with orchestral overdubs. "In My Room" The Beach Boys With The Royal Philharmonic Orchestra 2018 Youtube, Spotify The original Beach Boys recording and vocals with orchestral overdubs. "Kokomo" The Beach Boys With The Royal Philharmonic Orchestra 2018 Youtube, Spotify The original Beach Boys recording and vocals with orchestral overdubs. "The Warmth Of The Sun" The Beach Boys With The Royal Philharmonic Orchestra 2018 Youtube, Spotify The original Beach Boys recording and vocals with orchestral overdubs. "Wouldn't It Be Nice" The Beach Boys With The Royal Philharmonic Orchestra 2018 Youtube, Spotify The original Beach Boys recording and vocals with orchestral overdubs. "You Still Believe In Me" The Beach Boys With The Royal Philharmonic Orchestra 2018 Youtube, Spotify The original Beach Boys recording and vocals with orchestral overdubs. Also see The Beach Boys and Rodney Crowell. "Sail On, Sailor" Nashville Sounds 1996 Youtube A live rehearsal appears on this DVD.